One fun thing we did at the end of January was attend a Peace Corps “language refresher.” It was a 4-day long Russian language training with other PCVs from our group and the previous group in the northeastern city of Chernihiv. 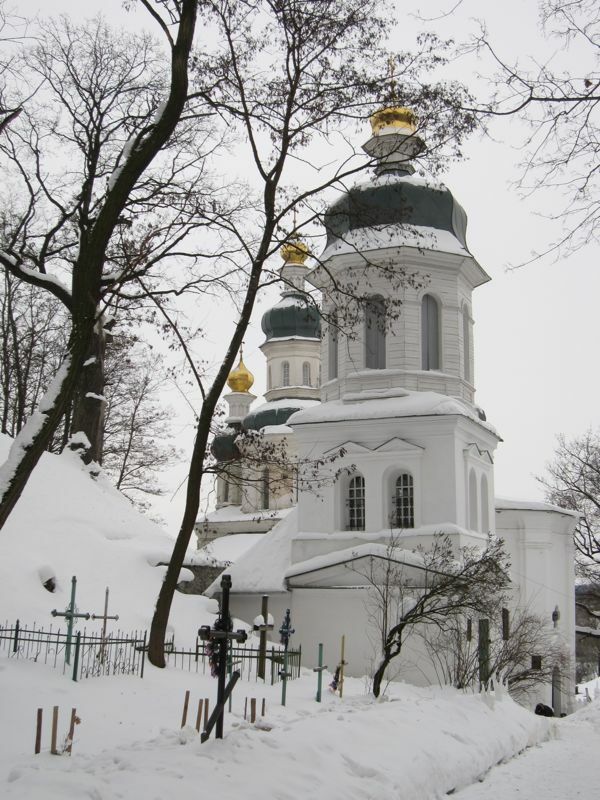 We managed to make a 9 day trip out of it, including a weekend in Kyiv with our cluster-mates, a visit with our host family, and another weekend seeing the sites in Chernihiv. The biggest problem was that we wound up doing all this during the coldest week of the year; the high temperatures averaged around 0〫F! Nonetheless, we had lots of fun with our friends and really enjoyed exploring a new city. The training itself was really helpful, and, of course, we always have a good time with other PCVs! Umm...? 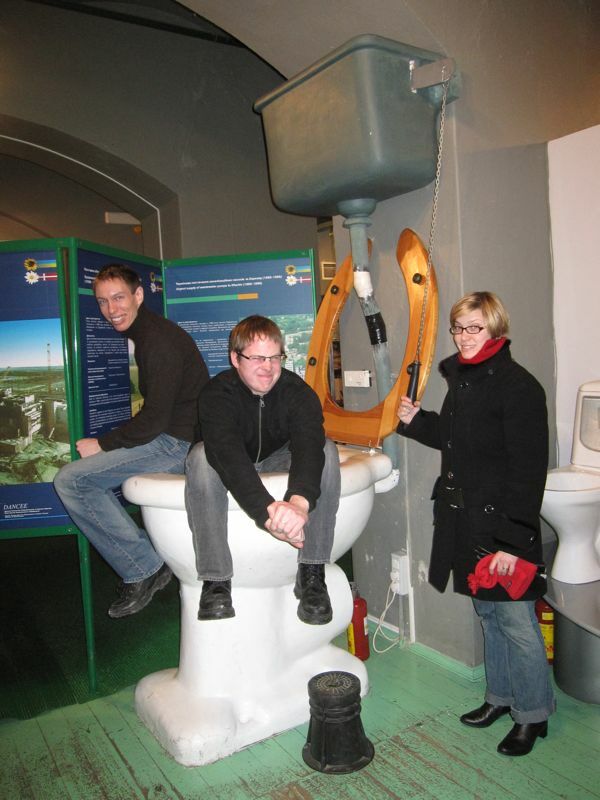 Visiting Kyiv's Museum of Water with Ben and iea. Alex gets cozy with the sewer rats. 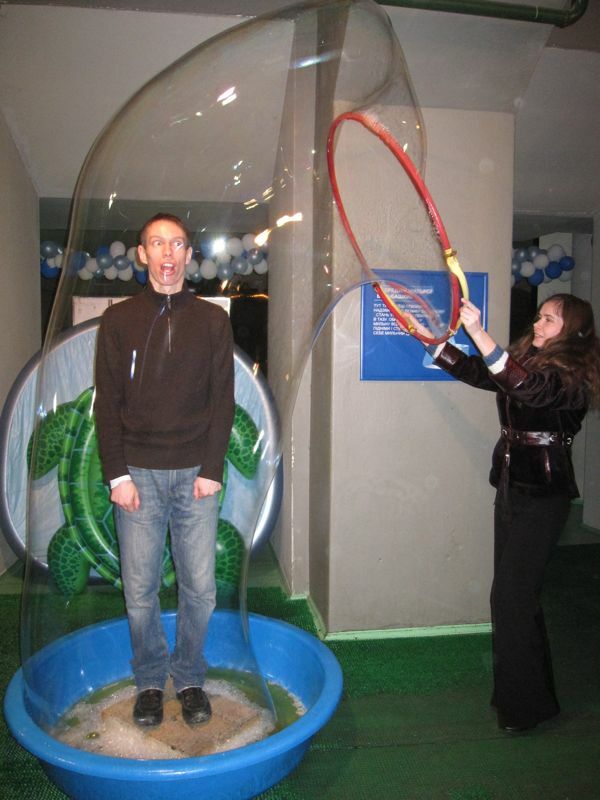 In the kids' area of the museum, Alex finds himself trapped by our friendly guide. Posing in front of Kyiv's Puppet Theater. You know you're jealous of our incredibly awesome winter hats. Attending a ballet at Kyiv's beautiful Opera House with fellow PCVs Jake and Alicia. Iea hijacks a cute photo with our host-mom Natasha and puppy Belka. 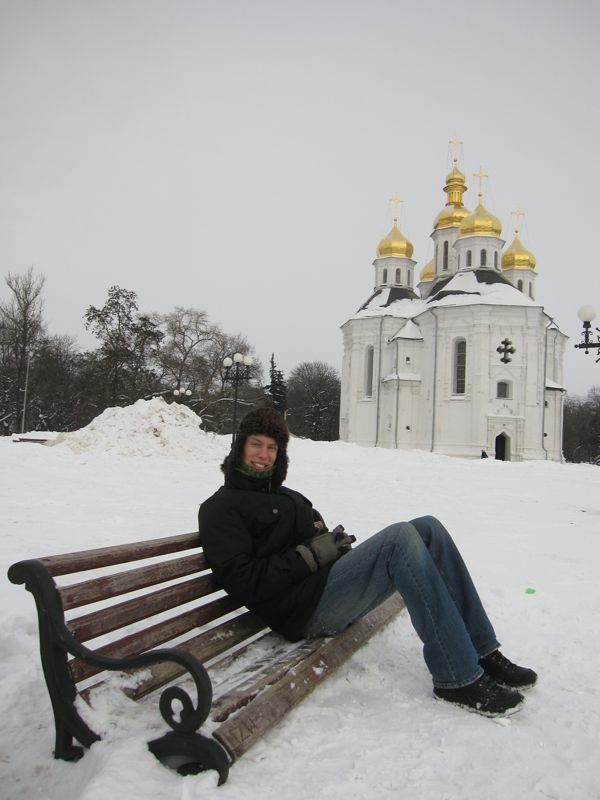 Alex relaxes on a bench in front of one of Chernihiv's beautiful churches. Would you say that's a lot of snow? Emma plays with the cannons in the park. 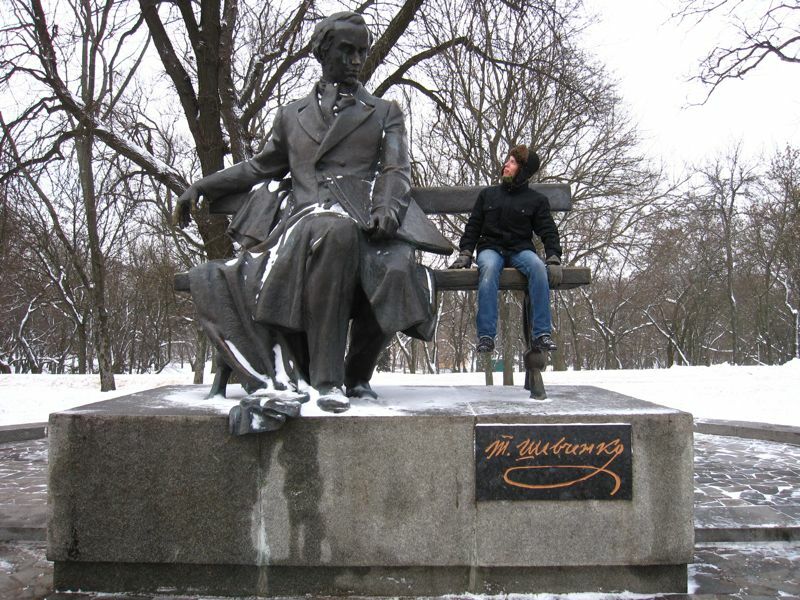 Alex has a heart-to-heart with Ukraine's famous poet, Taras Shevchenko. 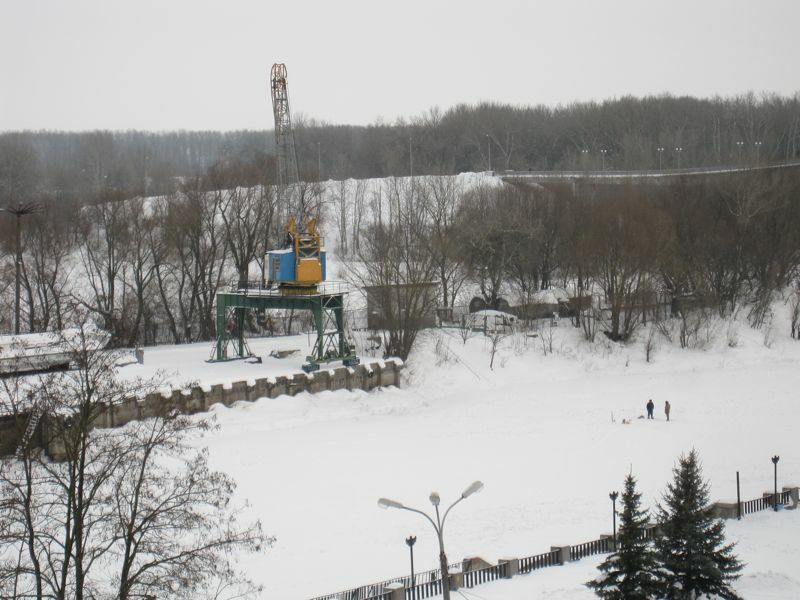 Look closely - a couple of guys are fishing through the thick ice on Chernihiv's river. Emma studies the funny shapes someone made out of thick layers of snow/ice. This church is built into the hill, under which is an extensive system of ancient catacombs. Monks lived here, either to seclude themselves and practice their faith, or to hide from those trying to rid the country of the church's influence.